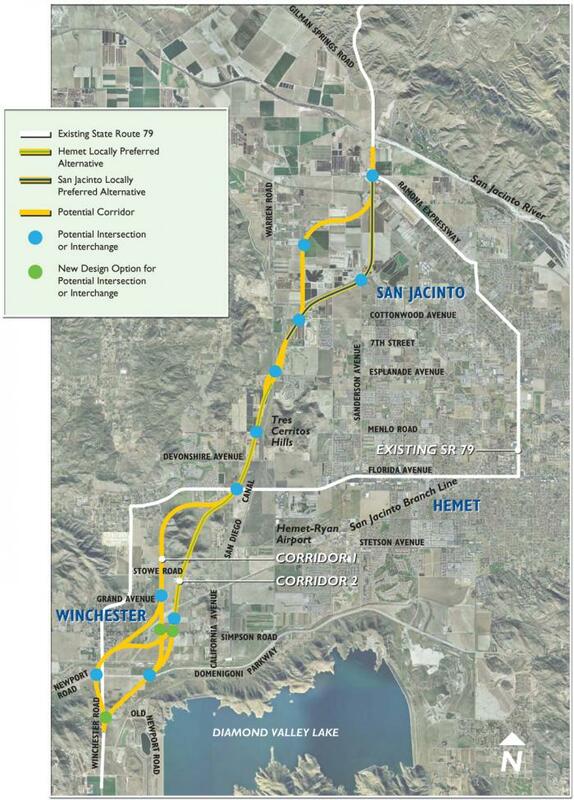 RCTC, in cooperation with Caltrans, proposes to realign State Route 79 between Domenigoni Parkway and Gilman Springs Road in the San Jacinto-Hemet area. Alternative 1br was selected as the Preferred Alternative and the Record of Decision was signed on December 16, 2016 by Caltrans. The Environmental Document for the project was approved in December 2016. 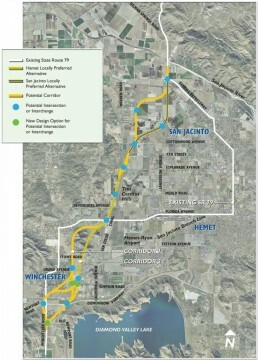 The project is in the expenditure plan for Measure A, the voter-approved half-cent sales tax measure for transportation improvements in Riverside County. Measure A will fund a portion of the project. However, the expenditure plan assumed 50 percent of all project expenses would be paid for with federal and state transportation funding sources. These sources are currently funded far below historical levels; therefore, until additional funding is available, RCTC cannot proceed with right-of-way acquisition or construction of the project.